, Instagram has half-a-billion monthly active users. The platform also reports 300 million daily active users. That’s approximately 94% of the United States’ population. This network is big. Now that Facebook’s advertising tools are almost completely integrated with Instagram, very few businesses continue to ignore its potential. Whether you’re using Instagram for business or thinking about getting started, check out Sprout Social’s “7 Instagram Best Practices to Build Your Audience.” We’ve shared the full infographic below in this post. 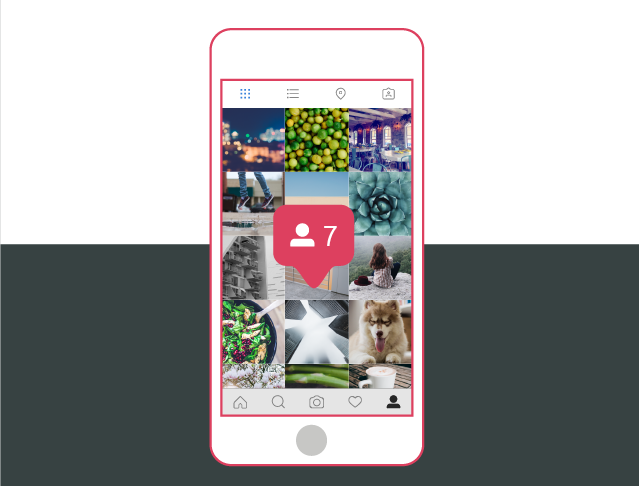 When you consider the fact that 93% of buyers cite “visual appearance” as the primary driver in their purchasing decisions, it makes sense why Instagram is such a powerful marketing tool. What doesn’t make sense is why so many companies use this platform for boring screenshots and poor quality photos. If you don’t have a photographer or design team, at least try using free tools like VSCO, Afterlight, or Canva to raise your standards. Instagram changes. A lot. Did you know you can manage multiple Instagram profiles on your phone? The inconvenience of the log-in/log-out barrier kept many SMB owners from marketing with Instagram in the past. That’s not an excuse anymore. Did you know you can add an address to your business profile? Or that max video length has been increased from 15 seconds to 60? Instagram isn’t a one-way street. No social platform is. Post user-generated content; hold contests; ask questions; introduce yourself to new followers; use a variety of locations and hashtags to connect with a broader network outside of your followers. The average brand posts 1.5x per day. Mondays and Thursdays are the best for engagement. If you can’t break away from routine, use a tool like www.postso.com to schedule your content. Be yourself; share honestly. Your audience can quickly tell if you’re inauthentic. It won’t work. Instagram is driven by authenticity and freshness. You’ve got to put yourself out there. Use hashtags, geo-locations, and tag people who are connected to your photo. Do it right and you’ll start showing up in the ‘Explore’ section for users who are likely to appreciate you! Analytics can help you determine how people engage and the days and times they’re most likely to engage. You can also figure out which hashtags work best for your content and which top influencers you’re attracting. What do you like about it? What frustrates you? This article originally appeared in Buzzplant. This article was written by Bob Hutchins from Business2Community and was legally licensed through the NewsCred publisher network. Previous articleUh Oh, Is it Time To Hire an Administrative Assistant?